Established with a £11.3 million grant from the Scottish Funding Council, The Data Lab enables industry, public sector and world-class university researchers to innovate and develop new data science capabilities in a collaborative environment. The Data Lab also provides a suite of Masters degree programmes across a number of Scottish universities - that's where we came in to help. As part of their Masters, students had to undertake a paid placement in industry - recognising e-Placement Scotland’s expertise in engaging with employers and helping them to benefit from working with students and course leaders, the Data Lab turned to e-Placement Scotland to bring employers into the project. e-Placement Scotland was able to develop a bespoke campaign throughout and beyond the technology sector to identify companies working on data problems with a real and pressing need for targeted input and expertise. e-Placement Scotland was able to get the ‘offer’ out to industry and work with key companies to help develop areas where universities and their masters students could make tangible inputs to data problems, and delivering significant and valuable returns for all parties. The initiative was a resounding success, with 70% of participating students attaining a full time paid placement within a range of private and public sector organisations across healthcare, financial services, media and oil and gas. With big names including Scottish Government, NHS, Waracle, Standard Life and DC Thomson on board, as well as range of fast growing SMEs, it’s no surprise that in 2016 the programme will double in size, bringing several more Scottish Universities into the fold. "The Data Lab worked with e-placement Scotland to secure paid-placements for our cohort of Data Science-related MSc students. E-Placements Scotland were excellent at finding and working with organisations across Scotland to arrange high-quality practical placements for the students that were mutually beneficial for student and employer. Of the student cohort, 70% were offered a paid placement – above our expectation. These placements will help these organisations to take advantage of enhanced data science and analytics capacity and, we hope, that many of the students will go on to full-time employment and ultimately benefit the Scottish economy. This is due to the fruitful collaboration with e-Placement Scotland." 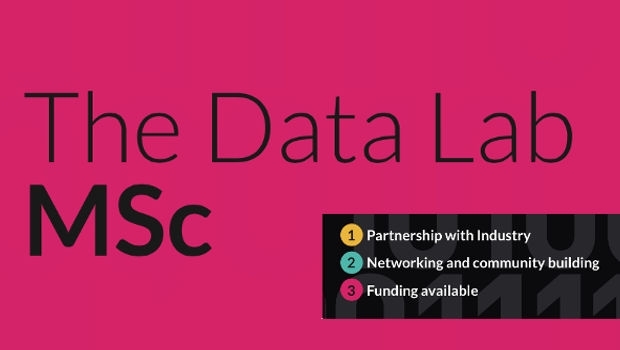 The Data Lab MSc is a collaborative effort between 7 Scottish Universities and The Data Lab, with the aim of developing the data science talent and skills required by industry in Scotland. Through this collaboration, each university has developed MSc programmes based on their own strengths and capabilities, with the support of The Data Lab to facilitate industry involvement and collaboration, and provide funding and resources. Interested in offering a placement to a talented data science student? Get in touch with Jamie Duncan, Employer Engagement, on 01506 472 200, or email jamie.duncan@scotlandis.com.